FOR USE ON GOLF COURSES, LANDSCAPES, and UNMAINTAINED AREAS in SOUTHERN CALIFORNIA. West Coast Turf’s Hillside Fine Fescue is the ultimate low maintenance, cool season turfgrass. This fine fescue is a three-way mix of Florentine GT Strong Creeping Red Fescue, Seabreeze GT Slender Creeping Red Fescue, and Tiffany Chewings Fescue. The finest texture of all cool season turfgrasses. Slower growing and less invasive than other cool-season grasses. Slow growth means less fertilizer and mowing is required. Provides a native or natural look with infrequent or no mowing. 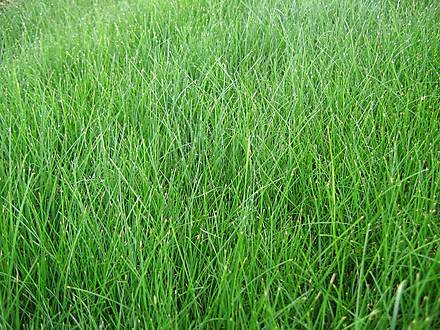 Can be used in un-maintained areas as a very low or no-maintenance grass. Can survive on less water and is less prone to dormancy during drought. Fares well under trees and won’t compete for water and nutrients. Thrives in cool to warm climates USDA zones 3-8. Regular sod: Comes in 16” x 72” rolls with ½” of soil. Each weighs approximately 45 lbs. Great for normal conditions. Big-roll sod: is 42” x 105’, allowing large areas to be sodded quickly and efficiently. Great for large sports fields, parks, and cemeteries.